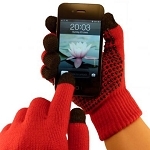 TouchAbility touchscreen gloves are a practical solution to the modern day problem of trying to use a capacitive touch screen device whilst wearing gloves. 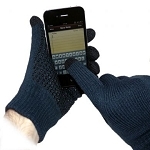 They are made with special conductive thread integrated into every finger of both hands, which 0enables you to tweet, text or type using any finger (or thumb) without removing your gloves. They're thick, warm and stylish, and come in a variety of colours and sizes to suit everyone. I found these gloves to be good. The touch screen capabilities work well and the rubber grip helps stop your phone from sliping out your hand. However they are not as warm as I would have liked even with the inner felt layer. 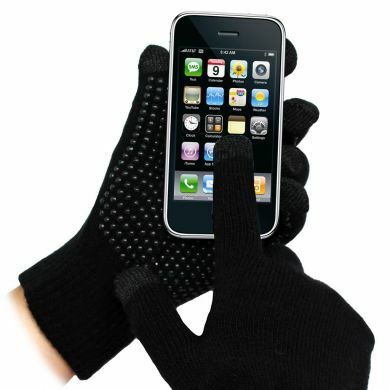 These touchscreen gloves work really well. My only suggestion is to make the cuffs a bit longer - they're quite short. Excellent product! Perfect fit, warm & do exactly what they're supposed to! Great Qiality, Service and Package, Excellent Christmas gift for my grandsons.